Whether you're here and raising kids or planning a trip to Wisconsin's capital city, here are some fabulous family-friendly attractions in Madison. 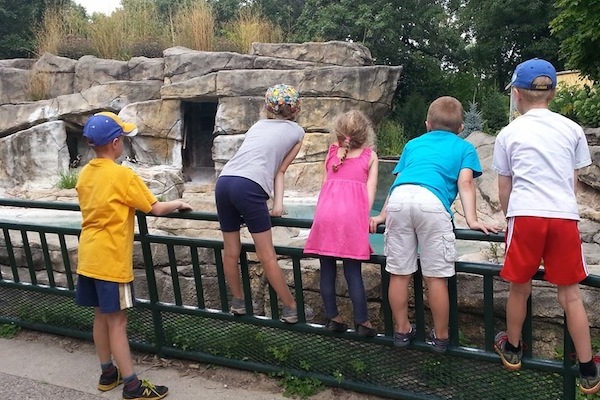 One of the very first places we visited when we moved to Madison, the Henry Vilas Zoo continues to be one of our favorites. 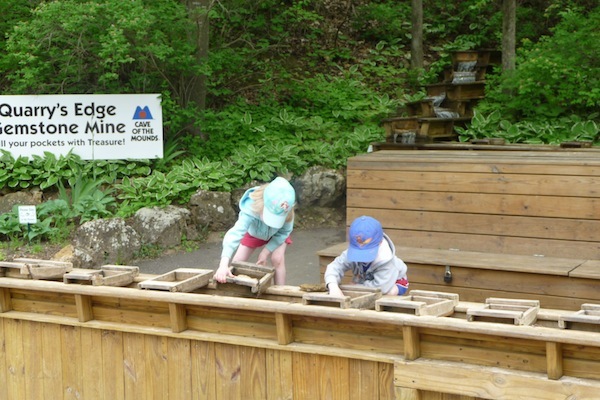 A combination of admission price (free), size (just big enough, with plenty of indoor and outdoor options), and location (just outside of downtown on the shores of beautiful Lake Wingra) make Henry Vilas Zoo a community gem. Younger kids will enjoy the carousel, feeding the goats, and riding the train (activities that require a nominal fee) as well as a playground break in the Children's Play Area. Under construction is the new Arctic Passage exhibit that will bring visitors up close and personal with polar bears, grizzly bears and harbor seals. The zoo also has year round activities and events like the Zoo Run Run and Halloween at the Zoo. 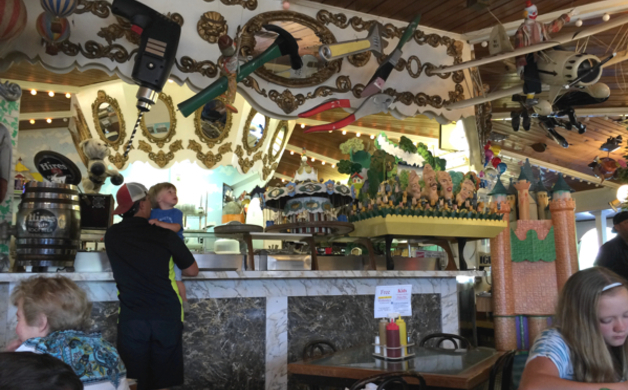 If you come to Madison with kids, you need to add Ella's Deli and Ice Cream Parlor to your bucket list. 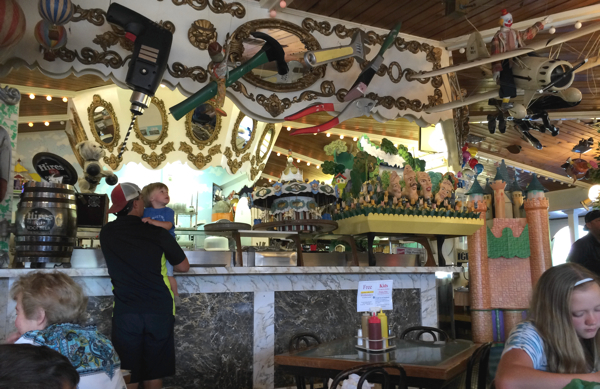 An experience as much as a decent meal, Ella's features an outdoor carousel (open seasonally) an whimsical interior filled with animated figures including cartoon characters, clowns, castles, and everyday objects brought to life. Many of the tables have glass tops to showcase collections like Pez dispensers or matchbox cars, and some tables have magnets or movable objects to keep little hands entertained while you wait for the food to come (and speaking of wait times, lines can run a bit long on weekends especially if you have a large group). True to the name, Ella's features both a Kosher deli and ice cream parlor (in addition to a menu thick enough to require page numbers and section tabs). We love to order big red, a strawberry frozen dessert topped with pink cotton candy and when our kids were babies, the "little bit of everything" plate included mandarin oranges, cheese, turkey, crackers, jelly, cold peas, and carrots for $1.95. Located in Blue Mounds, the Cave of the Mounds National Natural Landmark is celebrating a 75 year "since discovery" anniversary. A popular way to warm up in the winter and cool down in the summer, temperatures in the cave hover around 50 degrees all year round. Having visited the cave on a family outing and now on a school field trip, highlights of the hour-long guided cave tour include stalagmites, stalactites, cave formations, and shallow pools of water right along the path. 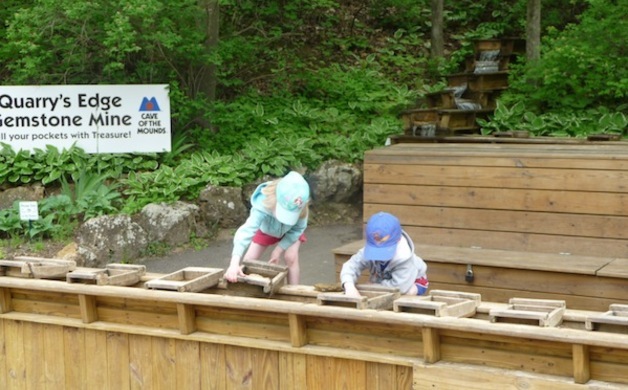 If you visit in warmer months, your kids may enjoy sluicing for gemstones (tip: look for a coupon in the Bucky Book) and walking up to the active sinkholes on the north side of the main entrance. Snacks can be purchased at the concession stand, but the grounds make for an excellent picnic spot. 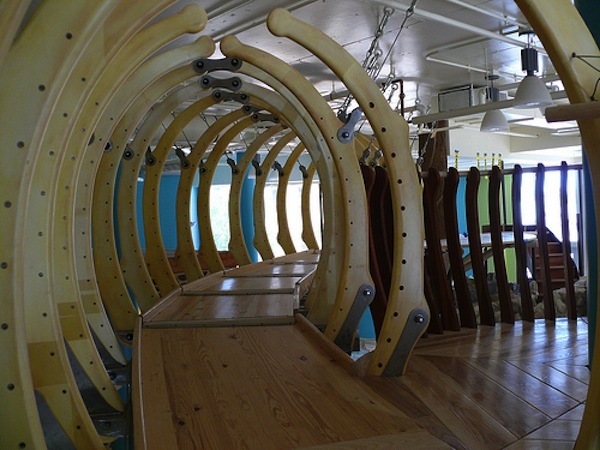 Having visited Children's Museums all across the state of Wisconsin (check out my map-based Pinterest board if you want to see the growing list), the Madison Children's Museum is one of our favorites. Still relatively new to the 100 N. Hamilton Street location, the adorable three-story museum includes a rooftop garden and authentic log cabin. 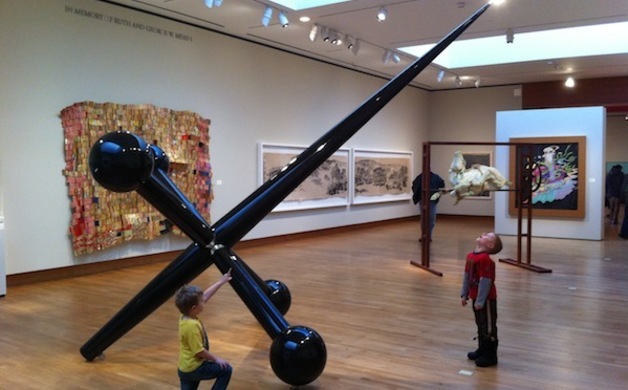 Exhibits are organized somewhat by age and activity, from art to science, building, and creative play. Our kids love getting lost in the Hodge Podge Mahal Climber (check out the cool photos) and striking a pose in the Shadow Room on the second floor. Madison's little slice of the Amazon, the exotic plants and flowers growing in the Bolz Conservatory at the Olbrich Botanical Gardens are just good for the human spirit come the middle of the Polar Vortex. Vitamin D and humidity aside, kids will enjoy tossing pennies into the waterfall and looking for birds as you wander along the two-story path. Conservatory admission is $2, but free on Wednesday and Saturday between the hours of 10AM and 12PM—although we found an annual membership the most cost effective as membership benefits include free admission to the Bolz Conservatory and events like the popular Holiday Express as well as reciprocal admission to botanical gardens around the country (including the more expensive counterparts in Janseville and Milwaukee). 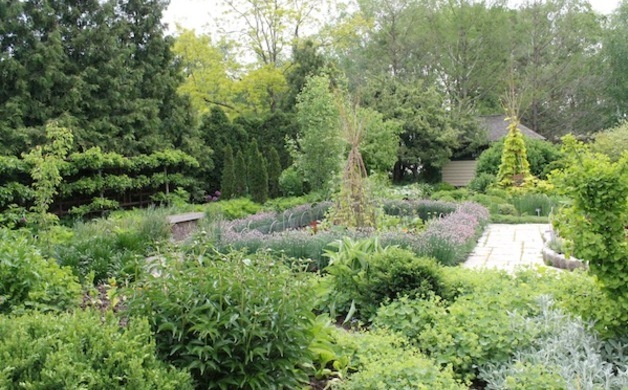 And, best of all, the 16-acre outdoor gardens are open to the public year-round at no charge. The Overture Center for the Arts is located on the heart of State Street in the building adjacent to the Madison Museum of Contemporary Arts (MMoCA). 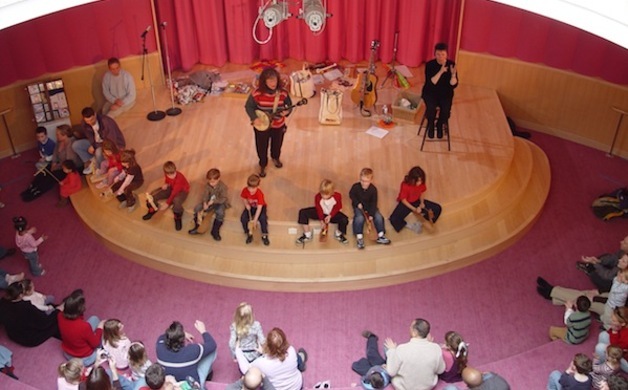 Family-friendly events/venues have their own category on Overture website and the 2014/15 season of Kids in the Rotunda begins October 4, 2015 (tip: arrive early if you want a decent seat at this free event). If you feel compelled to stretch out your cultural exposure, stroll down to MMoCA and check out an Artpack from the front desk. 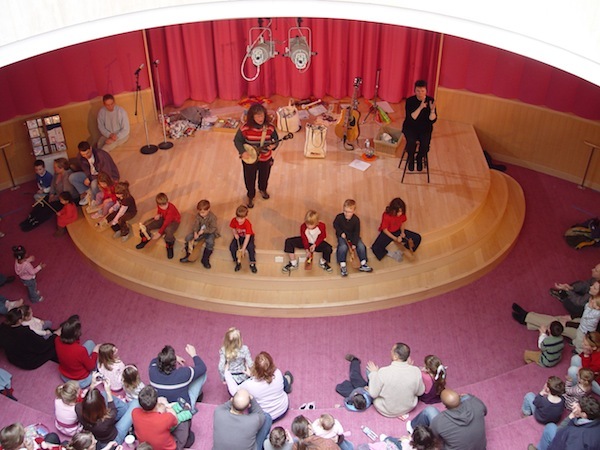 MMoCA also offers different family-friendly events and programs throughout the year. Fortunately, Madison has no shortage of indoor gymnasiums, arenas, and spaces to combat cabin fever. 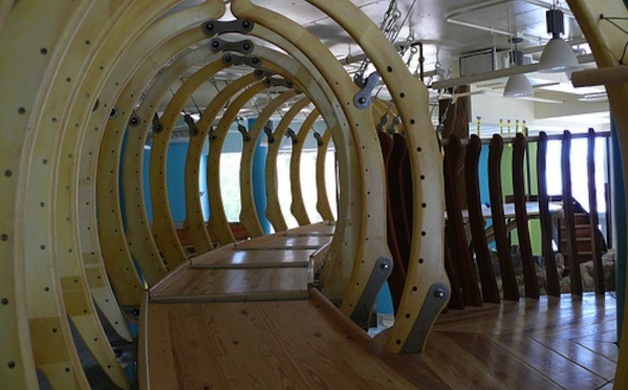 Legacy Academy in Fitchburg is more than just an indoor playground and features an activity room with games (digital and analog) for kids of all ages. Play N Wisconsin is unique in that it features open play on trampolines and swing sets that are also available to purchase for your own backyard. 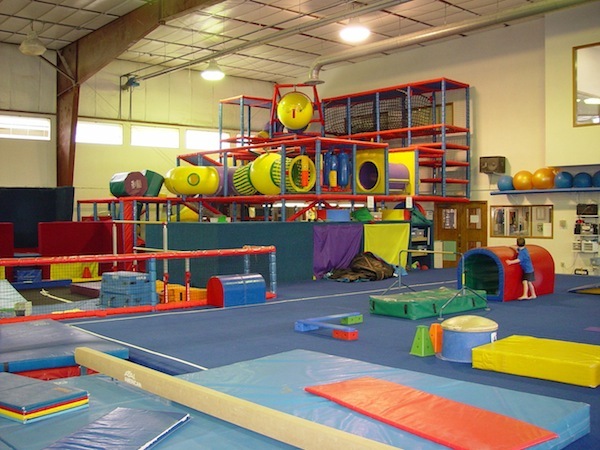 Traditional gymnastics venues are Badger Gymnastics Academy, Gymfinity, Madison Turners, Madtown Twisters, and Flip City Gymnastics. 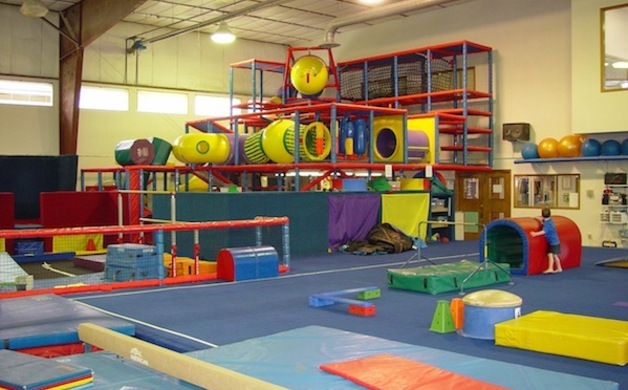 Boulder's Climbing Gym is quite kid-friendly and Ultrazone is the area's only indoor laser tag arena. Vitense Golfland is your destination if you want indoor miniature golf when the snow flies (the outdoor course is open during warmer months). If you want to roller skate, try Fast Forward Skate on the West Side. And, like other metro areas around the country, we have our own Chuck E Cheese, The Little Gym, and Pump it Up indoor inflatable playground. Although we've never been, many people say KEVA Sports Center is the place to play indoor sports. And, now both the East and West Towne malls have indoor play areas (but this is for the toddler crowd only). Despite the popular notion that college is for older kids, the University of Wisconsin-Madison campus offers quite a bit of family-friendly options for the general public to enjoy. From fresh made custard and cheese curds at the Babcock Hall Dairy to bowling and the indoor climbing wall in the lower level of the Student Union. 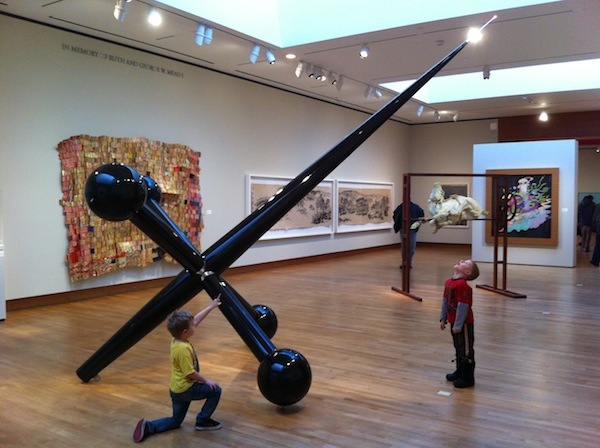 The Chazen Museum of Art is free and a perfect place to beat the winter blues (check out their family friendly programs) or check out the Thursday morning story times at the Geology Museum. 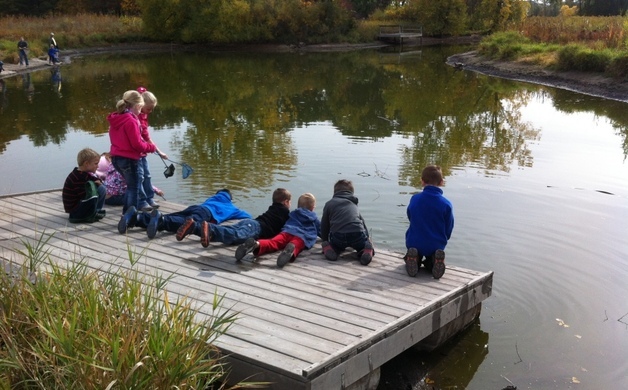 For more science-based learning we love the L.R. Ingersoll Physics Museum (the site of the popular Wonder's of Physics show each February) and UW Space Place located at the education and public outreach center at 2300 S. Park Street. Other favorites are a sporting event at the Kohl Center, hiking out to Picnic Point, a stroll at the UW Arboretum, and playing the Fibonacci chimes in the indoor waterfall at the new WI Institutes for Discovery. 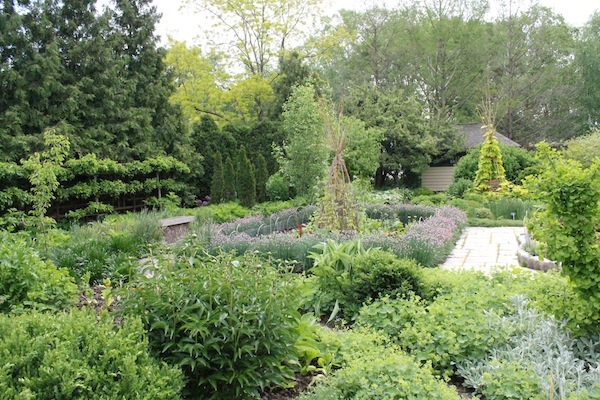 On our UW bucket list is a trip to the Allen Centennial Gardens next spring. 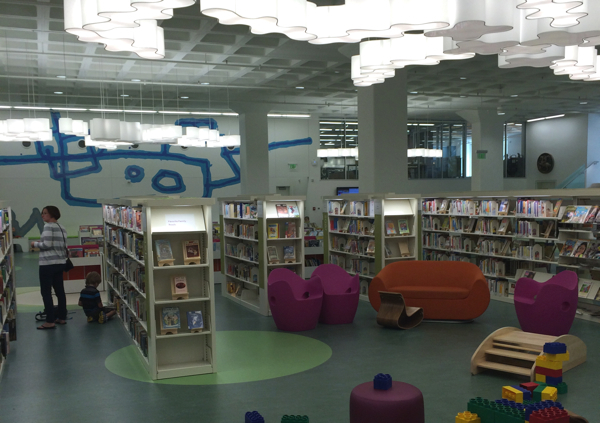 One perk of living in this great democracy is literacy for the masses, and the brand-spankin' new Central Library Location (201 W. Mifflin Street) is a beautiful place to curl up with a good book. 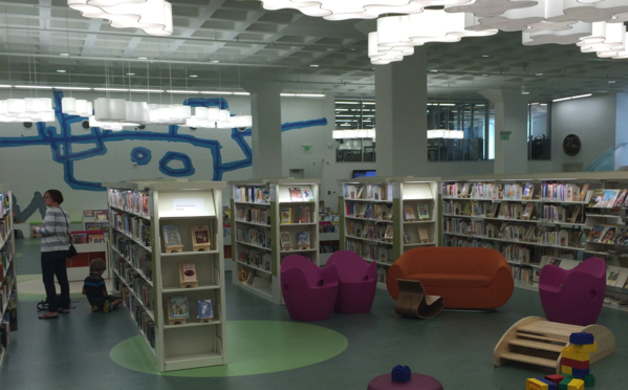 The juvenile/young adult area features bright, colorful furniture and artwork and has received compliments from parents and kids alike. Tucked away on Madison's South Side, the Aldo Leopold Nature Center is a four-season respite from city living. A popular place for field trips and Sunday afternoon hikes, the Climate Science Education Center brings people indoors to learn about climate, weather, and earth science. Our favorite exhibit is Science on a Sphere, a high-definition global projection of the planet onto a six-foot diameter sphere (if you're on a group tour, chances are the guide will swap out Earth with the moon or another planet in our Solar System). Aldo Leopold Nature Center is also a popular summer camp place; we even had a birthday party here one year, complete with live animals brought in by a naturalist. 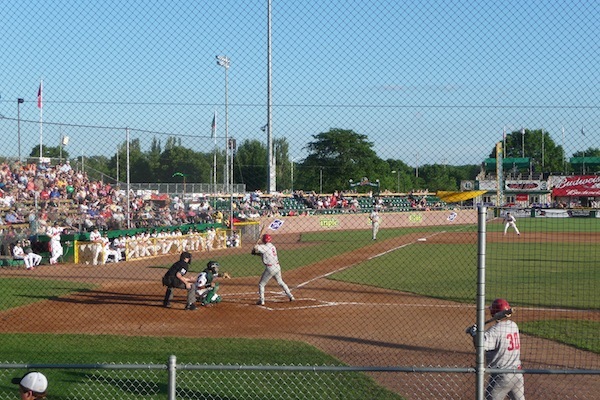 A popular summertime rite of passage, Madison families love the Madison Mallards college-level baseball club. Playing in The Duck Pond, attending a Mallards Game is as much about the experience as it is about America's favorite past time. Re-modeled in 2012, the stadium has been upgraded with a 6,000 square foot grass berm in left field (the Physicians Plus Backyard) for General Admission grass seating and the Great Dane Duck Blind, an elevated deck in right field for groups with something to celebrate. Kids will love the Mallards playground, bounce house, weinermobile slide, and sand box. Check the website for different "theme" nights and plan to purchase a duck call from the pro shop.